Most of you have never tried acupuncture and may be a bit leery of the whole process. Look around at the information on this site, and don’t hesitate to call me with any questions. Traditional Chinese medicine is not mysterious or dangerous or painful. In fact, it is often more beneficial than standard medical treatments for certain conditions, without the unwanted side effects. These treatments and herbal medicines have been used for thousands of years to restore balance in the body. The World Health Organization, the National Institutes of Health, and the Joint Commission on Hospital Accreditation support the use of acupuncture for a wide range of diseases and conditions. 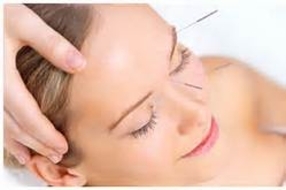 The medical community is rapidly incorporating acupuncture into standard treatment. The American College of Physicians recommends non-surgical treatments such as acupuncture, yoga, and chiropractic care as the first options for treating lower back pain, not painkillers or anti-inflammatory products. The military and the Veteran's Administration are prescribing acupuncture to treat PTSD and pain syndromes. How does it work? Stimulating acupuncture points activates the flow of endorphins and other hormones that soothe pain and regulate bodily processes. Brain imaging scans show that acupuncture affects areas of the central nervous system that mediate blood pressure and body temperature, gastric motility, and more. For acute problems, like a twisted ankle, you may only need a couple of treatments. For chronic conditions like degenerative arthritis, sciatica, or stubborn allergies, 7-12 treatments are usually needed to see lasting effects. I will give you the tools you need to reduce the frequency of treatments required, by teaching you dietary adjustments, showing you exercises and recommending other techniques that may be beneficial for your complaints. I am committed to helping you achieve and maintain balance in your body, mind, and spirit.